Not a creature was stirring, not even Mike in his house. LSU Football takes on the Alabama Crimson Tide on November 3, 2018 and the Tigers are ready. After starting out the season at No. 25 in the rankings, LSU proved everyone wrong and went undefeated for five games this season. LSU Football even went on to beat number-three Georgia, with Tiger fans storming the field after the incredible win. After an exciting homecoming game against Mississippi State, LSU now waits to welcome Alabama Football into Death Valley. 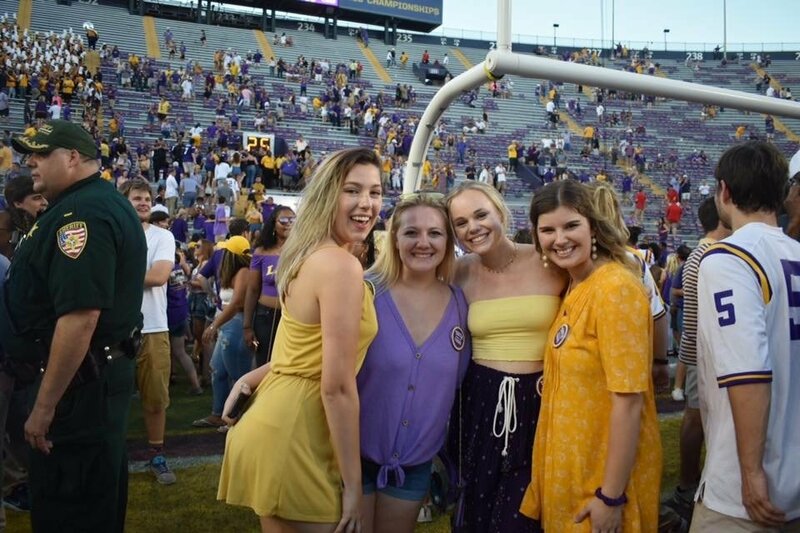 With Coach Orgeron leading the Tigers to victory countless times this season, the Tigers wait to take on number-one Alabama this Saturday, November 3. The Tigers are still pumped after their win against Georgia and fans have no fear that the Tigers will show up to perform against Bama this weekend. I guarantee the stadium will be packed and fans will be passionate on Saturday. The rivalry is alive and well, and we are not going down without a fight. We're wishing the Tigers luck this weekend, hoping to eat some elephant for dinner. May the odds be in our favor and may the chance of rain be NEVER.